The one driver every project needs. Allows end users to create simple automation and scheduled routines for macro like functionality all from any Control4 screen or app. 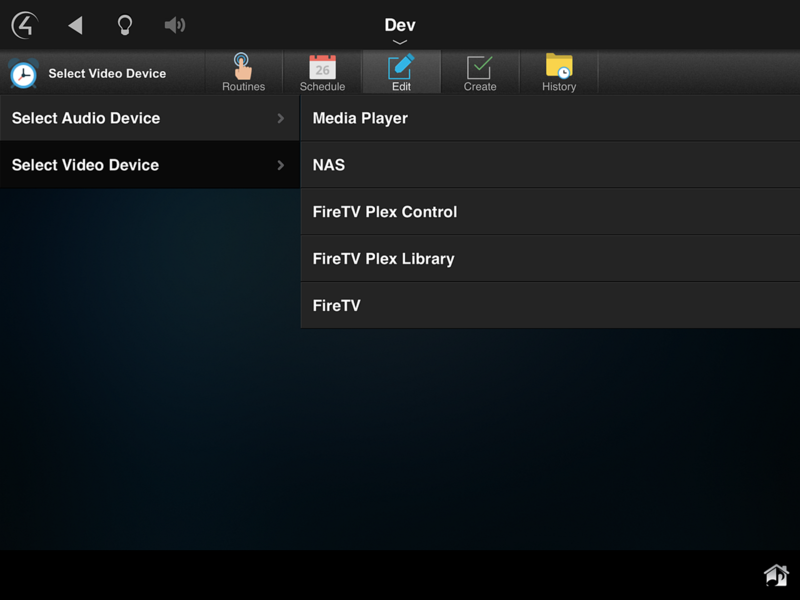 Now Control4 end users can have the flexibility to program their own system from within the Control4 iOS or Android app, touch screen, PC or Mac application, or any other Control4 navigator! 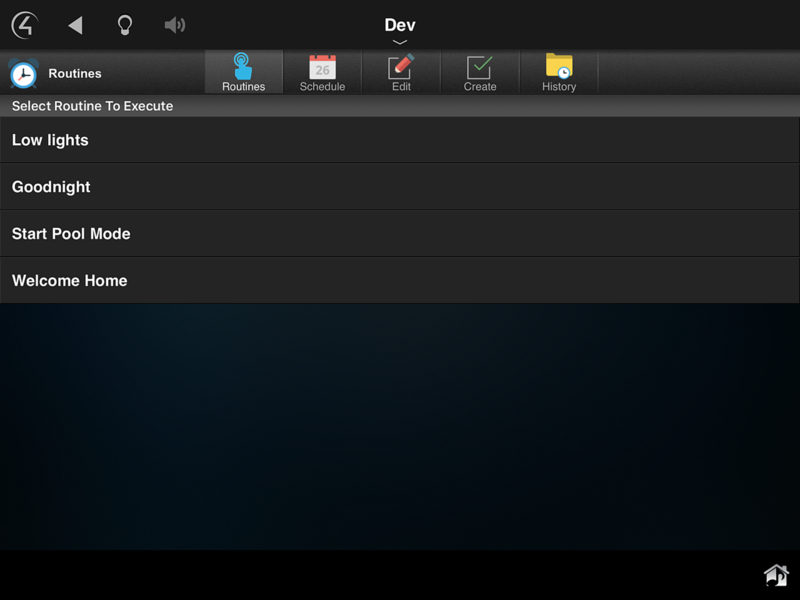 The HouseLogix Routines driver gives you the ultimate in programming flexibility. Not sure what you want that "Welcome Home" scene to do? 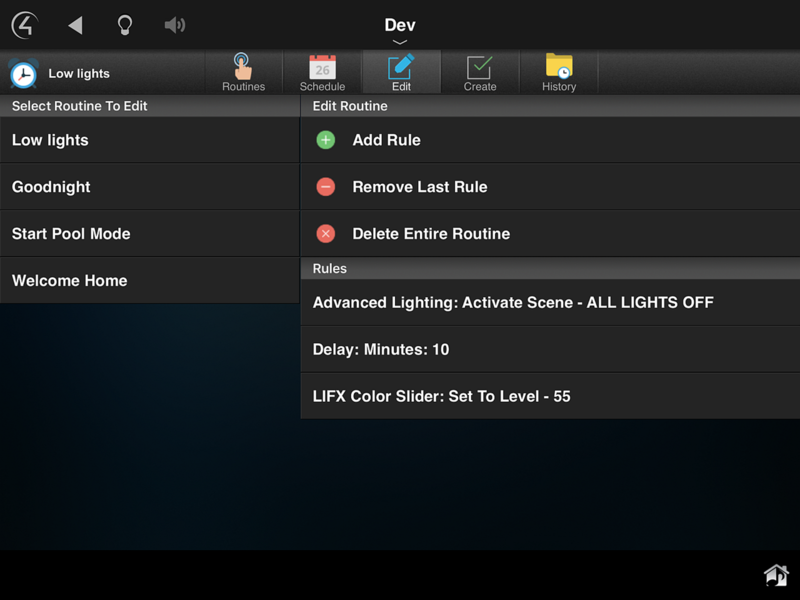 No problem, this gives you the ability to set up execution of lighting scenes, individual lights, temperatures, audio and video sources, or even something like a fountain relay when you come home. Think of them like end-user configurable macros. 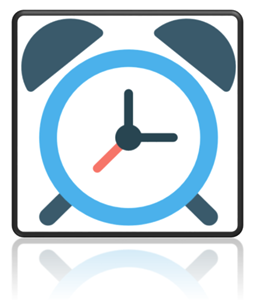 Our driver even allows you to schedule these routines. Tired of manually turning on that Christmas tree light for 3 weeks out of the year? No problem, hook up your Control4 outlet dimmer to the tree, add a rule that turns on the tree every day at 6pm and off at midnight. Then, delete the schedule when Christmas is over all without having to call your programmer. Installation Note: It is recommended you install the driver in a new room called something like "Routines" or common rooms that do not have a TV. - Corrected an issue causing the sunrise/sunset DST offset to be incorrect. - Corrected an issue with firing C4 events. - Corrected an issue causing the sunrise/sunset to never initialize properly. - Corrected an issue with sunrise/sunset in projects that have no longitude or latitude. - Corrected an issue causing only a single relay controlled blind to be displayed. 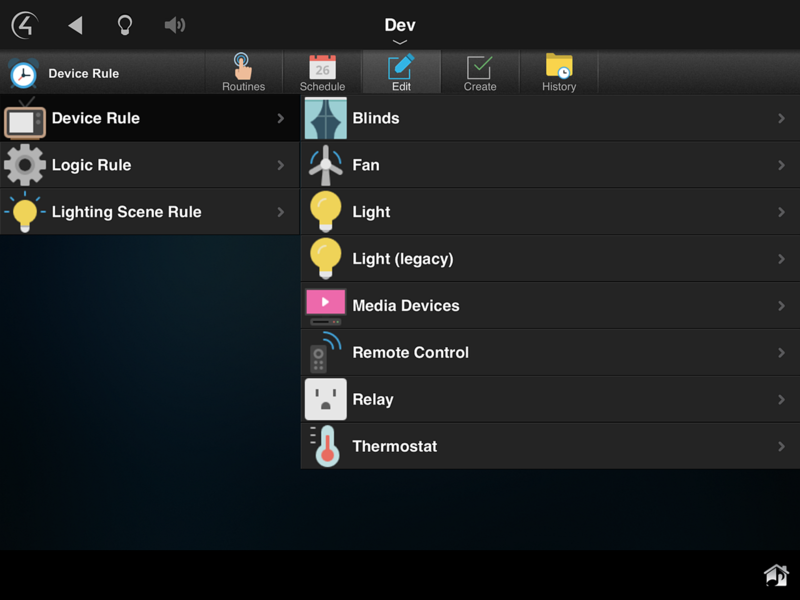 - Added support for control4.thermostat.proxy.c4i devices. - Moved relay controlled blinds to new Relay Blinds category. - Added optional Audio Endpoint. 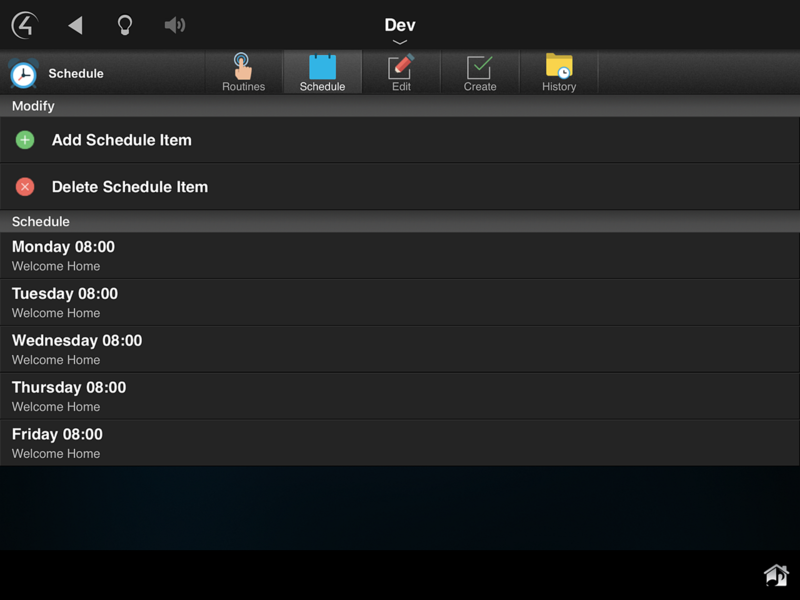 - Added the ability to select Sunrise or Sunset when creating a schedule. 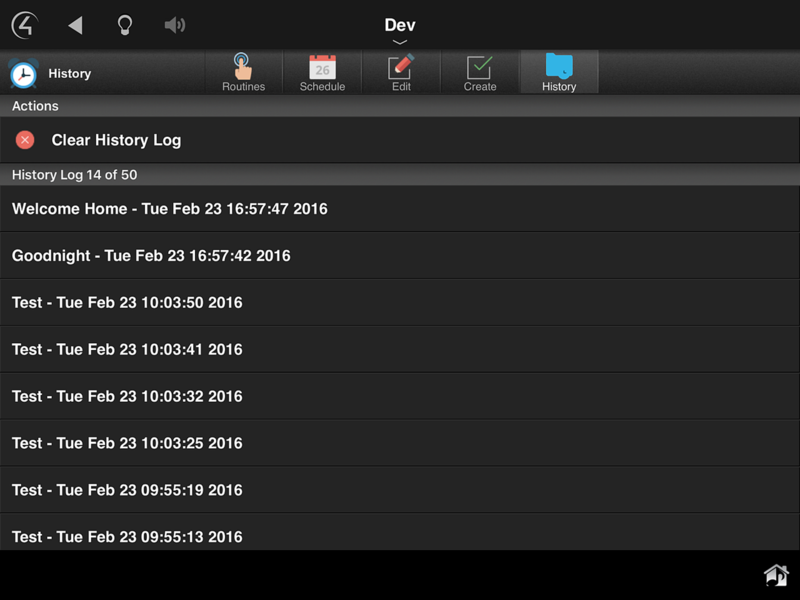 This driver allows end-users to create their very own automation routines from any Control4 navigator. A 'routine' is comprised of 'rules' that tell the system what to do. These rules include turning a light on, or selecting a video source, or closing the shades. The routine can then be triggered manually, or scheduled to occur on a regular basis. To install this driver, add it to your project and bind the Video Endpoint to all rooms that you want to have access to this driver. After refreshing navigators, the driver will be accessible under the 'Watch' menu. Action: List of actions that can be performed on the driver at any time. Execute Routine: Command that allows a selectable routine to be executed through programming. Routine Event 1-10: Control4 events that can be fired within the ‘Event’ Logic Rule. These events allow programming not already supported by the driver to be executed. Copyright 2016 HouseLogix, Inc. All rights reserved.